Fish can be easily transformed into so many dishes, but a lot of people shy away from cooking it considering it’s challenging. Knowing how to pick fish is a vital skill in cooking it. You need to check the signs to ensure it’s fresh. Whole fish should have bright, bulging eyes and bright red or pink gills. Unfortunately, dishonest vendors try to make profits out of products that are no longer fresh. 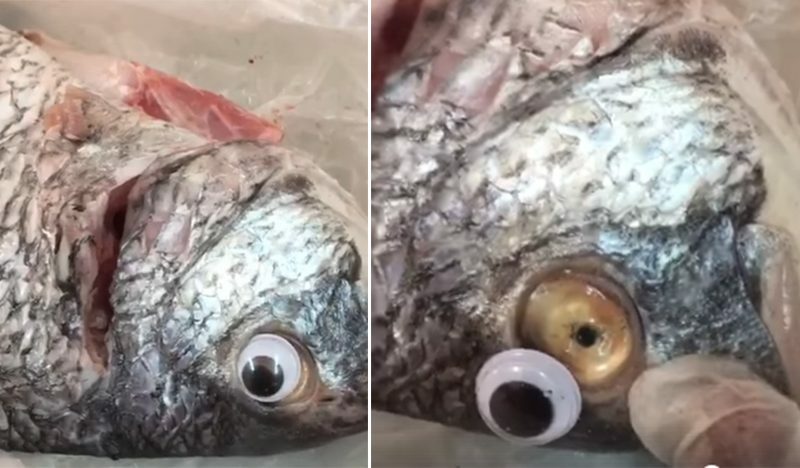 In Kuwait, a fishmonger was revealed gluing googly eyes onto fish to make them seem fresher, and it actually worked because there were customers who fell into the bait. Unsuspectingly, they bought some "fresh" fish whose eyes were actually fake. 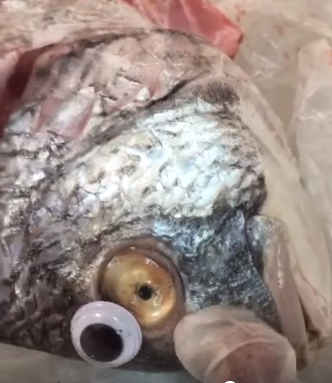 Facebook user, Ayman Mat, shared a video of the fish with faux eyes which soon went viral. Just like the other victims who were deceived by the store, Ayman bought some fish and took it home. Much to her surprise, the fish's eyes slipped off while she was washing it exposing its yellow, cloudy and sunken eyes. The said fish was actually not fresh anymore and could be stored for more than two days already. 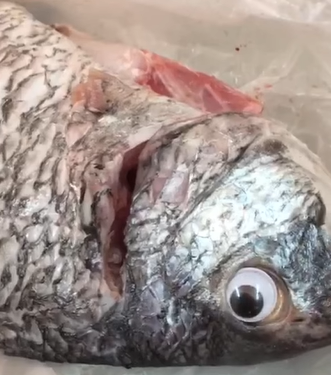 Kuwaitis were angered by the fraudulent way of keeping fish fresh while some netizens poked fun over the fake eyes issues and even mocked Ayman for being easily fooled by the shop. "That is gross and bad business practice, but I can't help but laugh at the same time. Did they honestly think people wouldn't notice?" one person wrote. Meanwhile, rival fish shops updated their slogans when calling customers such as "Fish with no plastic surgery" and "Fish without contact lenses." A local Kuwaiti newspaper, Al-Bayan, reported that the store had been identified and the Commerce Ministry shut it down. Authorities have also been warned to heighten inspections over the fish market to curb such dishonest practices.